If you’re busy planning a wedding, then you understand fully how important it is for your big day to go perfectly. Making sure that your wedding is the beautiful experience you want it to be involves a lot of organisation and patience. Not only do you want to arrange for the best photographer and entertainment, but you also want to arrange for the best menu. That’s where wedding catering comes into play. Our directory service makes finding the finest catering service for your wedding an easy and convenient process. We can direct you to all of the best catering companies in your region. We are experts on a wide range of catering companies. No matter what type of food and service you prefer, we can accommodate you. The businesses we represent specialise in everything from Italian and Asian to French and classic British cuisine and beyond. Many of our catering businesses also happily manage special food requests. If you want to make sure that your wedding catering menu has many delicious gluten-free options for guests who have gluten sensitivities, you’ll have plenty of companies to consider. If you want to make sure that your wedding catering menu is full of excellent vegetarian and vegan dishes for people who are unable to eat meat and dairy, we’ll provide you with a vast assortment of quality suggestions, too. No matter what kind of menu you want for your wedding, we can assist you 100 percent. Meticulous service is also a vital aspect of wedding catering. When you rely on us to find the best wedding catering company for your big day, we can make sure you locate experienced wedding professionals who know how to provide attentive and diligent service. A lovely wedding is about a lot more than just a flawless banqueting menu. It’s also about catering staff members who go out of their way to ensure the comfort and happiness of all of the guests in attendance. Finding a great wedding catering service company is key to wedding planning success. You can depend on our comprehensive wedding directory for help in locating all kinds of catering businesses, whether they specialise in grazing food, buffets, banquets, set meals or anything else. We also can help you find wedding businesses that cover all types of budgets. Wedding catering isn’t something that has to be outrageously expensive. 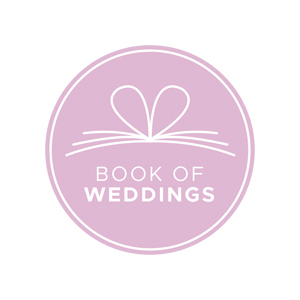 When it comes to wedding planning, we have a wealth of quality info for you.